Affiliated Computer Services, Inc. is a Fortune 500 company based out of Dallas, Texas that specializes in information technology and data outsourcing services. ACS partners with private lenders, the Federal government, and colleges and universities to distribute and manage student loans. This partnership makes the management of college loans more convenient for students, as well as for their primary lenders. Through ACS, students can access their accounts, pay their bills, and monitor all of their college loans at one convenient online location. While ACS is not a lending institution in and of themselves, they nevertheless serve a prominent role in student loan services and accounts management. Most college students will require some measure of financial assistance to completely fund their post-secondary education. Grants and scholarships play a large role in helping many students find the money they need to pay for college. Unfortunately, grants and scholarship can only do so much, and even students who qualify for these cash awards will likely be left with a sizable amount of unmet need. Moreover, a large percentage of college-bound students may not qualify for either a grant or a scholarship. In either circumstance, student loans often provide the answer to a college-bound student’s financial needs. The most popular, and affordable, student loans are available through the Federal government’s Direct Student Loan Program. Direct student loans are available in both subsidized and unsubsidized forms, and offer the lowest interest rates and most student friendly repayment plans of any college loan service. Again, not every student will qualify for a Federal loan, and some students may find that their Federal loans do not fully cover all of their unmet need. In those cases, private lender loans often provide the answer. Private lender loans may not be as popular, or as affordable, as their Federal counterparts, but without them many students would not be able to realize their college dreams. Private student loans, sometimes called alternative loans, are made available to borrowers based on their credit history, and many students will need to engage a cosigner in order to qualify. Private student loans typically have higher interest rates than their government counterparts, as well as application fees and penalties for early repayment. 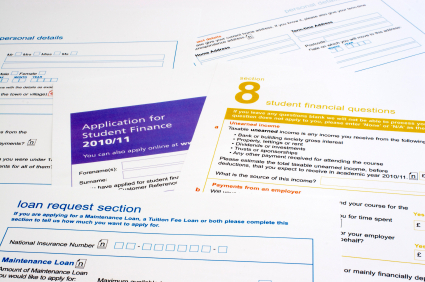 Private lender loans should be the last stop on a student’s search for financial aid. Student loans are a vital part of today’s college landscape, and without them many students would be unable to complete their post-secondary education. By providing expert data processing services, ACS makes it possible for lending institutions to better serve their customers, while providing the support student borrowers need to help them manage their college debt.